The lecture will take place in the framework of the course: Spaces of Solidarity. The course aims at examining community-driven spaces and spatial processes that pool and share resources to build social cohesion in times of crisis or absence of government, at a variety of scales, places, and contexts. It also attempts to explore environments of community formation and open up a dialogue on the agency of design in enacting and facilitating actions of solidarity. 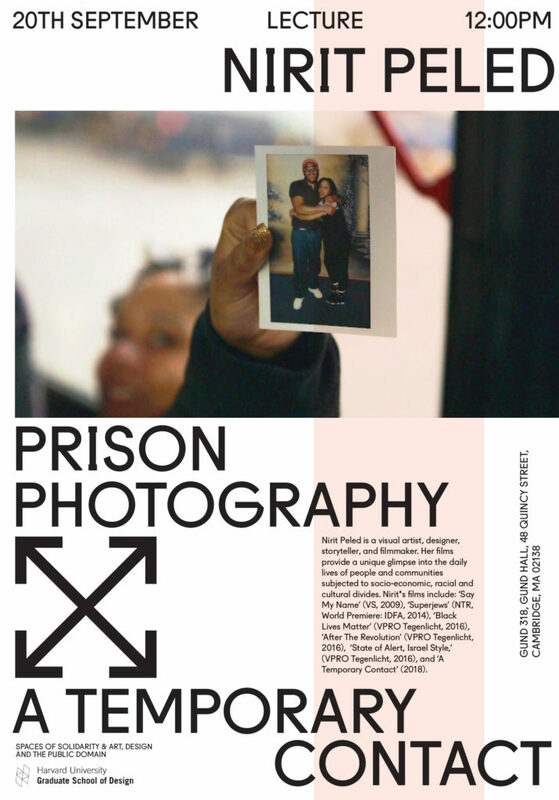 Prison Photography – A Temporary Contact is also the title of Peled’s current film project, a real-time series of text messages and short videos delivered via WhatsApp and Facebook Messenger. These messages allow users to join family members of prisoners as they journey from New York City to Upstate jails and back.